Fun farm animals to care for! Great farm products to sell! Farm Frenzy is rated 4.4 out of 5 by 20. 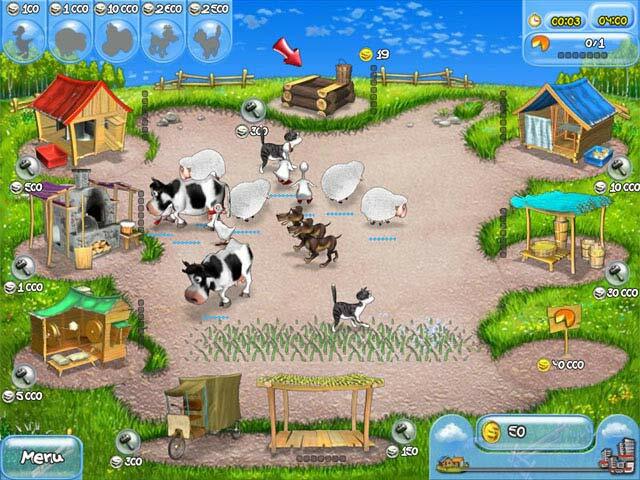 Rated 5 out of 5 by JulzCat from Old-School Farm Fun! This game premiered in 2007 and is still fun today! You're building up a farm little by little by upgrading your homes and farm equipment. Even though this is a time management game, you have unlimited time to complete it, you just earn more stars if you complete it quick enough to earn the silver or gold. The bears falling out of the sky will be frustrating, so upgrade your bear cages first thing. Don't waste your money on the dogs, although the cats are super helpful. This is a great beginning to an adorable series! Rated 5 out of 5 by Luigifan27 from Great Time Mangament Game! Pros:Lots of fun! The dogs they really helped to stop those bears. Very challenging OK:The grahics aren't good but not bad ehiter Cons:The game should've had a storyline. 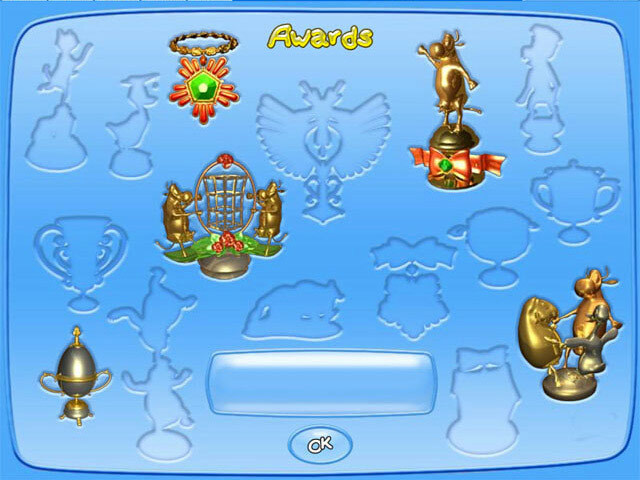 It was hard to get gold. Out of these 2 small flaws this is a must-buy! Rated 5 out of 5 by Bumbles2 from Gotta have this one...that's for sure !!! I've just finished the demo...and I gotta have this one. If the whole series is like this one....I'm gonna be broke before a week has gone by. This game is well written (story) and the artists have done an amazing job. And the music isn't too bad either !!! This game is highly addicting ...play at your own risk...LOL I was having so much fun with this game...I didn't realize the time and the demo was over. My game library is so full...my kids are gonna love so many to choose from. Hope you all have a fantastic day....play safe and have fun all !!! Rated 5 out of 5 by Blondie1311 from LOVED IT! I could play for hours, it's an awesome and addicting game for sure! Rated 5 out of 5 by rururu55 from awesome game the best game in history!!!!!! Rated 5 out of 5 by OneSparklie from Highly Addicting! I've played and beat all the Farm Frenzy's.. they are such a great challenge.. today I'm even downloading this game to replay it again! 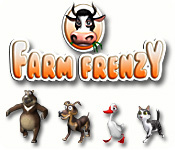 Love love love farm frenzy games. Rated 5 out of 5 by kenya64 from Addicting!!!........ This game is soooo addicting, you can play for hours. I love games that let you upgrade as you win levels. 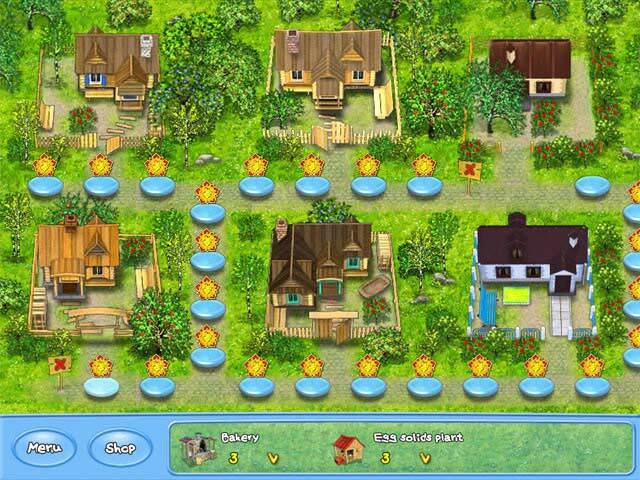 You will definitely will love having this game in your time management collection! Get ready for a multi-tasking game at it's best.